This pallet wood recycling is literally a sort of addiction, people come towards the wooden pallet recycling, and they become addicted to it as the time passes by. Same is the case with me and my entire team, we just started this as a time pass and with basic motto to discourage the cutting of trees. 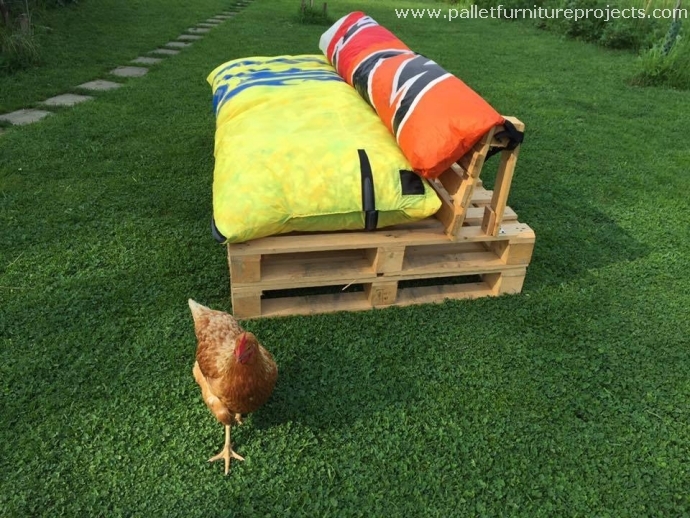 But now we are always desperate to explore and work on some new wooden pallet upcycling ideas. And you guys are our inspiration who keep us motivated. 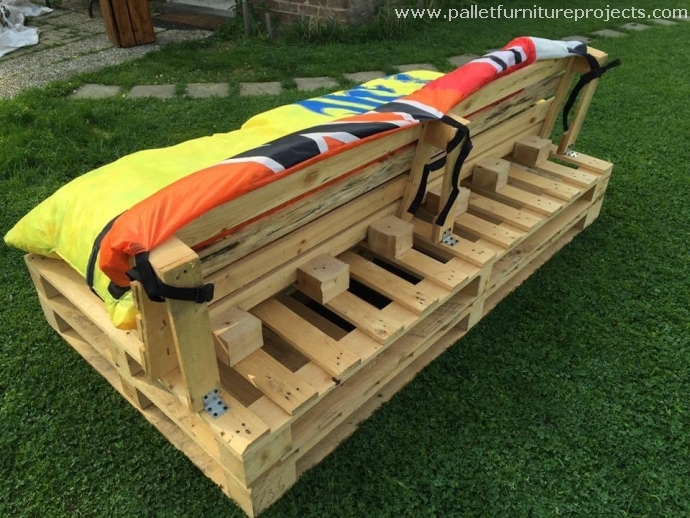 Here we bring you a garden sofa made with the pallets that would be a useful addition in your outdoor space. From now to onwards we are going to discuss each and every aspect of the wood repurposed garden sofa that we have designed especially for the green landscape. 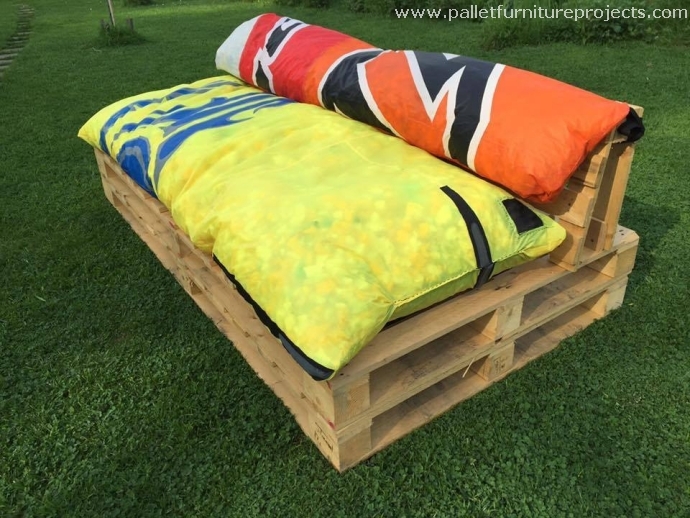 All that we needed to recycle this pallet wood sofa was a couple of some fresh shipping pallets. 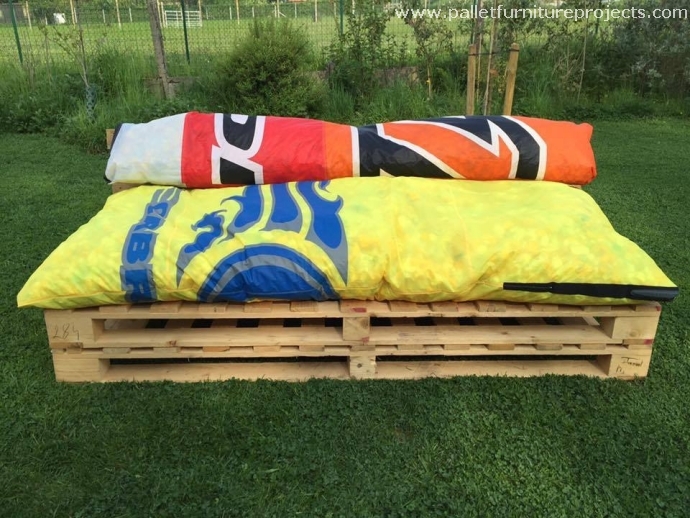 Let’s have a side view of the wooden pallet repurposed sofa, apparently a couple of whole shipping pallets are placed one on another, and they are glued and nailed firmly to keep both the layers of shipping pallets intact. We just did some basic sanding to smoothen up the texture of the garden sofa. And this is a back view of the pallet wood upcycled garden sofa, we used metallic brackets to attach the wooden back with the seating space and we nailed them. Plus we have placed a robust wooden square bar behind each supporting pallet plank to further ensure the durability of the attached back. Finally we left it unstained to maintain the same rustic look, a large wooden pallet repurposed sofa is all set to be used in our garden. If we talk about the finances, we just had to bear some basic minor expenses during the process.